Ahhhhh smell that? The crisp air of Seattle on the horizon. The beautiful blue sky over the buildings. What’s that? Smoke? You’re seeing smoke? Huh… that’s not right. 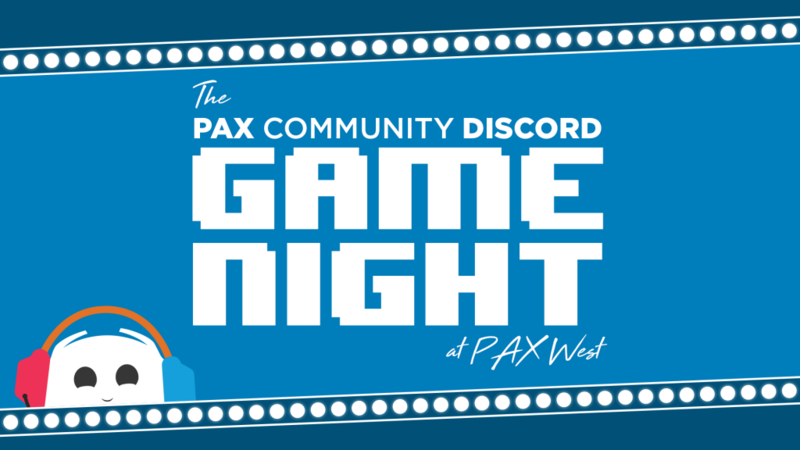 The PAX Community Discord is headed to PAX West in less than a week! Can you believe it’s here already? Couple of things to mention before we zoom on over there for an awesome weekend of fun. If you somehow STILL DID NOT KNOW, you should (1), use those two white spheres in your head more often, and (2) continue reading this post. The PCD is hosting a Game Night Panel on Friday, August 31st and will be giving out not one, not two, not three, but FOUR grand prizes! What are those prizes, you may ask? That’s a secret………………… wait no it’s not. Click here to find the entire prize list posted on our Twitter. Now there’s no excuse for not coming! If you have a Friday badge, head on over to the Cat Theatre at 9:30pm! Ordered a pin? Maybe you reserved a badge? I’m sure you’re probably going to want those, especially if you offered some of your hard earned dollars for em (thanks for supporting these community endeavors if you did!). So now the question is: where do I pick those things up? Worry not! Andeh and gfx will have a couple meetups each day so you can grab your stuff. Meet-up times and locations are TBD at the event, but we’ll be sure to ping @West with locations and post on our Twitter (which you should follow wink wink). Really reaaaallly can’t make one of those meetups? Ping one of us during the event and we’ll get back to you and try to arrange something. Like always, it’s important to be prepared when going on any vacation. PAX is no different. Make sure to check the weather before packing so you have a good idea of what you’re looking at going into Seattle as far as temperatures and rain goes. Here’s something you might not check all the time, though: air quality. Due to some wildfires that have persisted in the north, some smoke has been making its way down into Washington. While things seem to be clearing up, it’s unknown what may transpire over the next few days. Be cautious! If you’d like to read up more about it and get some helpful links to monitor the air quality and preparation tips, Andeh wrote up a handy dandy little post about it over on the subreddit which you can click here to go directly to! Alright, that just about wraps it up for the evening. PAX is just around the corner now; right under 7 days from the time this post goes live. Hope you’re all as excited as we are and prepared for four days of fun. See you next week!